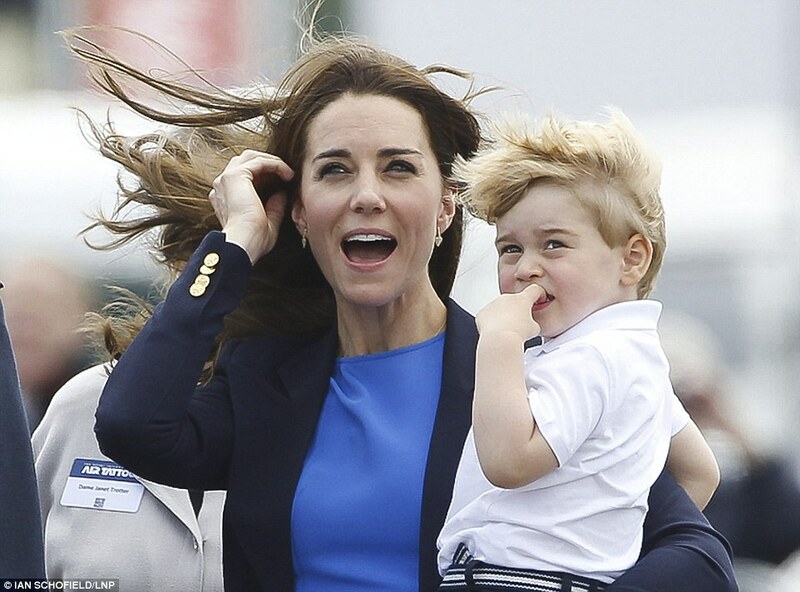 Yesterday, Kate was spotted in Windsor on the way to the dress rehearsal of Prince Harry and Meghan Markle’s wedding. 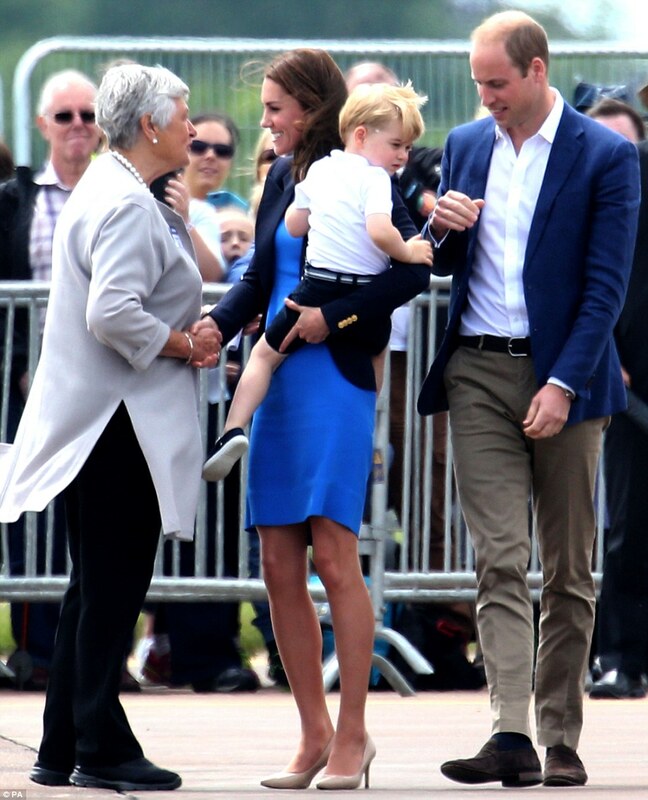 This was the first time we have seen the Duchess since the birth of Prince Louis. 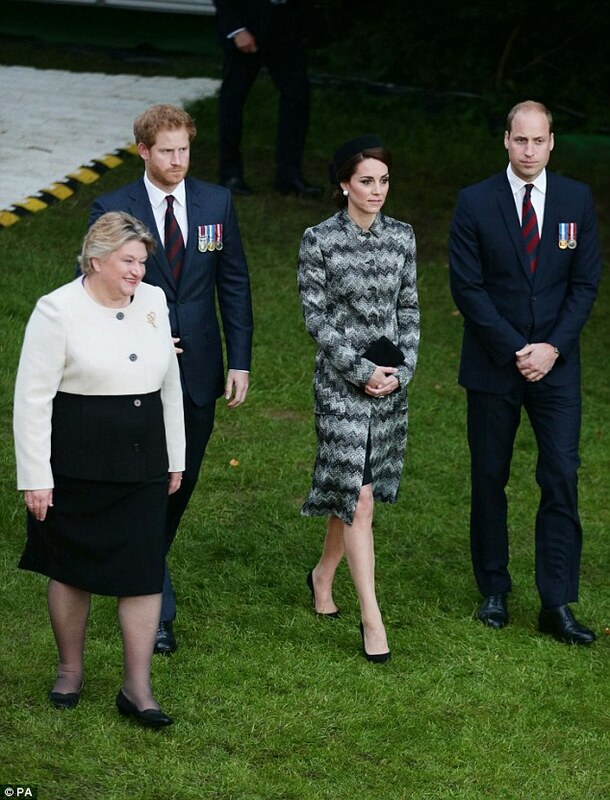 She was pictured alongside Prince William who made the short 30 minute car drive from their home at Kensington Palace to Windsor castle. They followed behind Harry and Meghan who rode in the back of a car just ahead. She looked polished but casual in a Michael Kors Carnation Georgette Shirt dress (£215). The breezy, midi-length frock featured a ditsy floral print in pink, white and purple flowers. 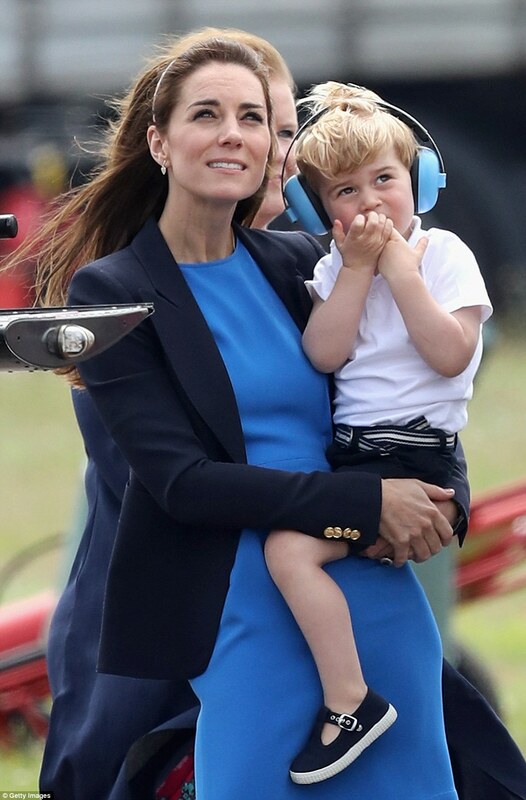 The Duchess opted for a pair of pair of chic Givenchy SGV 767 09X5 sunglasses (£159) to complete her look. Her brunette locks were styled to perfection. 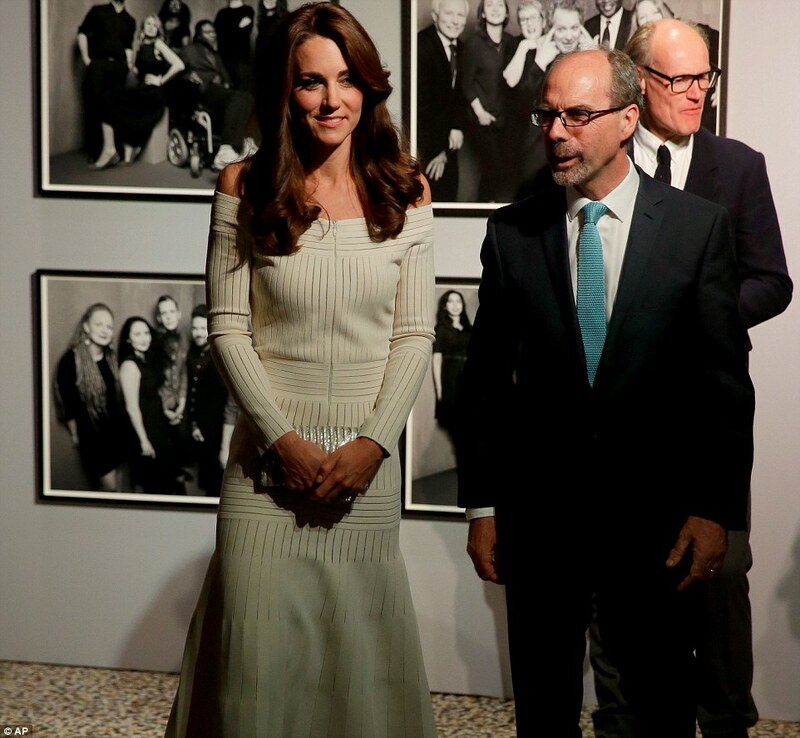 We don’t anticipate seeing Kate return to official duties until the fall. 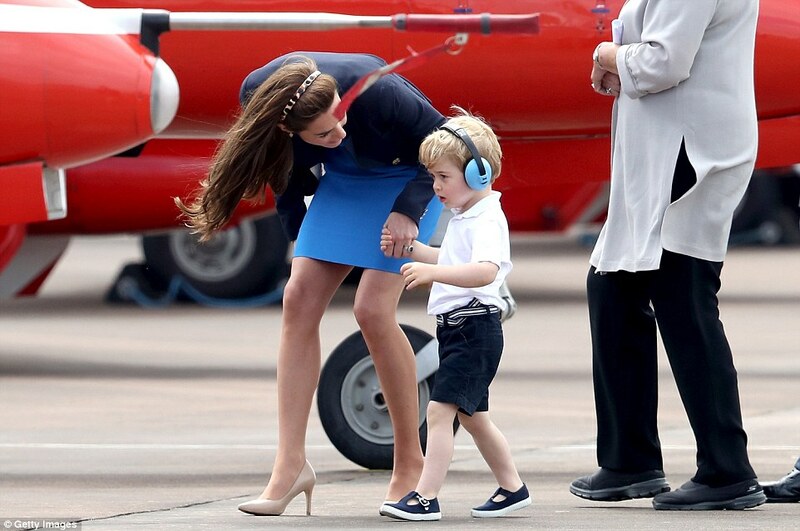 She is still on her official maternity leave which began at the end of March. On Tuesday afternoon (May 15, 2018), The Duchess of Cambridge was photographed taking a walk in Kensington Park Gardens with baby Prince Louis (in his stroller), Princess Charlotte alongside her, her nanny, Maria Borrallo, and three protection officers. Kate wore the ‘Pink Fuchsia Knot Front Maternity Dress’ by Seraphine ($89). The dress features a flattering empire line cut, cap sleeves, a deep v-neckline that pulls aside for breastfeeding and knot front detail. 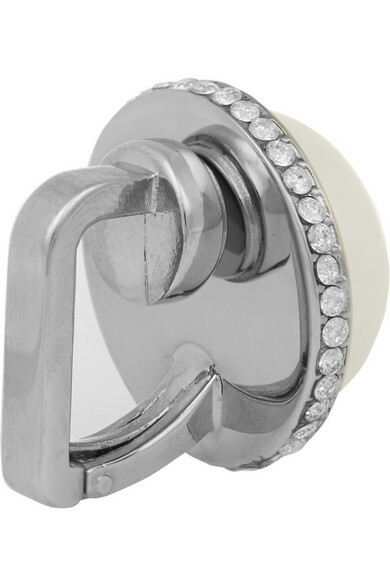 It is available in all sizes and in a variety of colors. Completing her outfit, she wore her white Superga ‘2750 Trainers’ (£49.99) and her Givenchy SGV 767 09X5 sunglasses (£159). 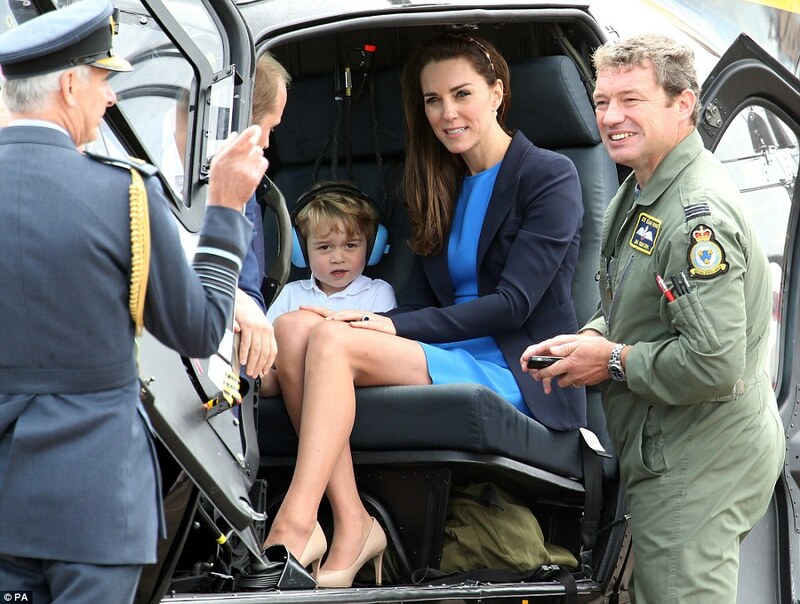 Today, the Duke and Duchess of Cambridge along with Prince George enjoyed a day out at the Royal International Air Tattoo in Gloucestershire. 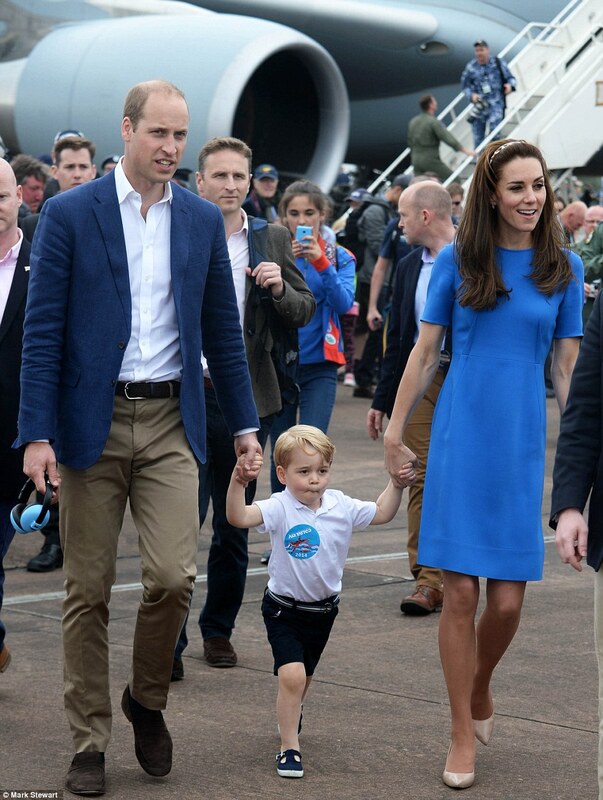 This is the first time the little Prince has accompanied his parents on an official engagement in UK. 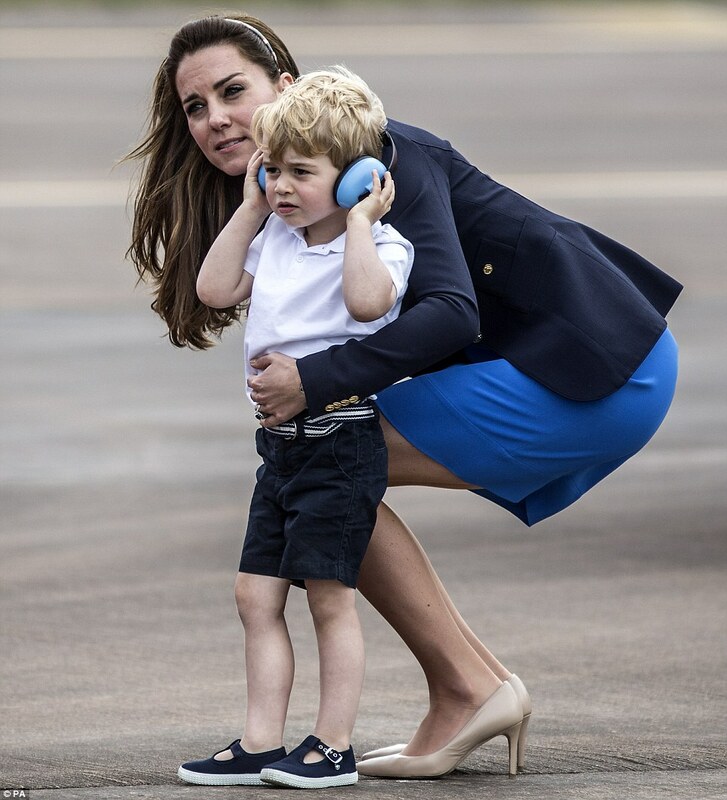 The air show at RAF Fairford is the largest event of its kind in the world. 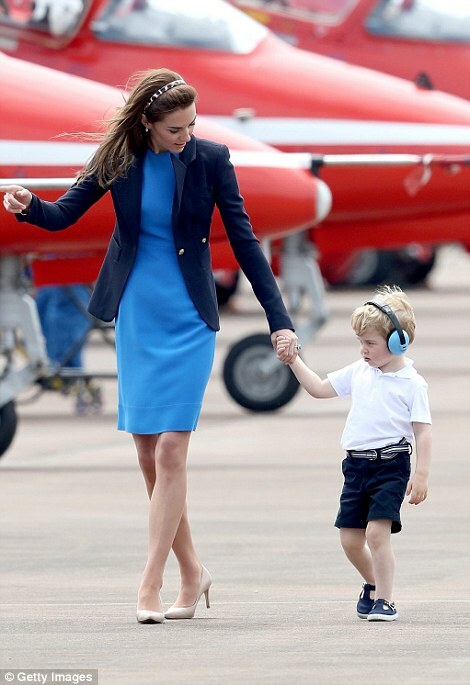 There was also a celebration to mark 75th anniversary of RAF Air Cadets, of which Kate is Honorary Air Commandant. 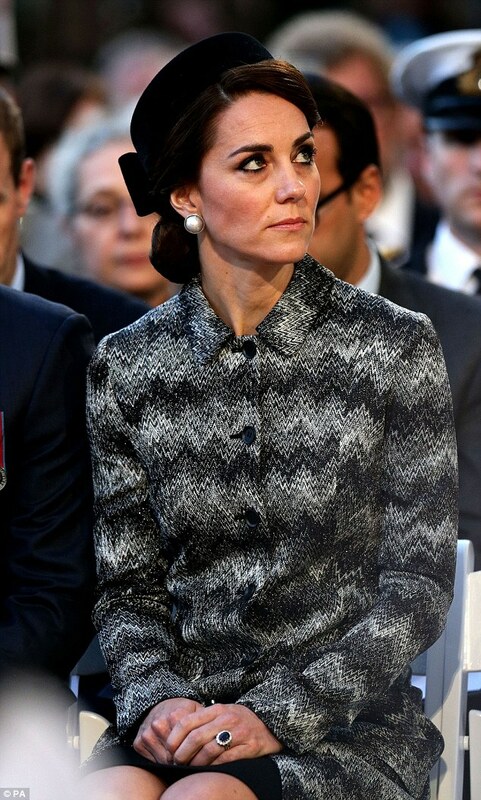 Kate took over the role of patron from the Duke of Edinburgh in December of last year. 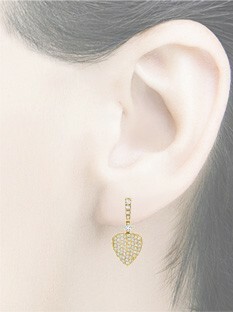 The Duchess wore her Lauren 18ct yellow gold pave diamond leaf earrings (£2,200) by Kiki McDonough. ‘Beautiful and elegantly small these 18ct yellow gold and pave diamond leaf motif drop earrings are from our new Lauren Collection inspired by the British ballerina Lauren Cuthbertson. 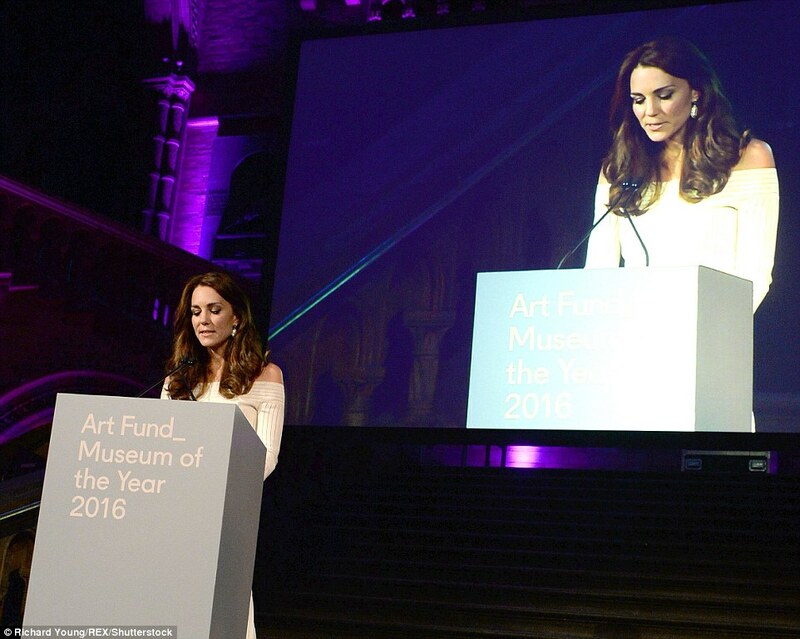 Last night, the Duchess of Cambridge presented the £100,000 prize at the Art Fund Museum of the Year 2016 Awards Ceremony in London. The Art Fund Museum of the Year prize is awarded annually to one outstanding museum which has shown exceptional imagination, innovation and achievement in the preceding year. 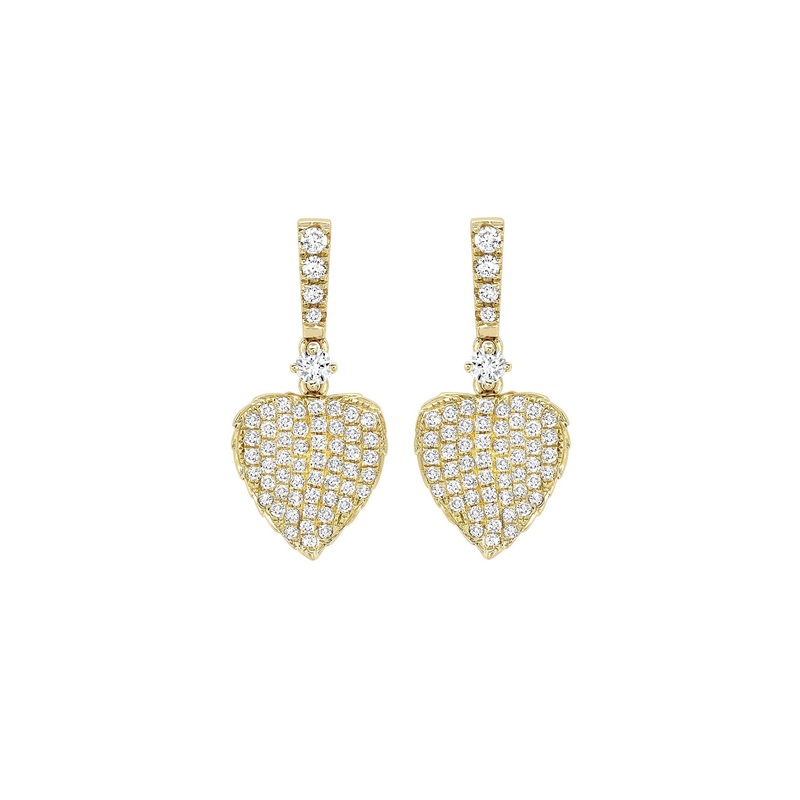 Kate wore glitzy new 18ct Yellow gold vermeil earrings by Soru Jewellery. 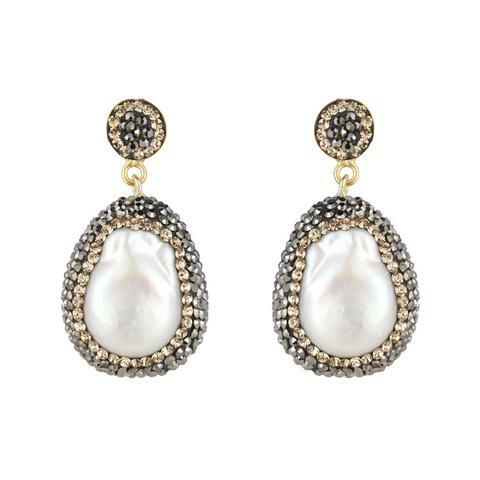 The handcrafted earrings are iridescent baroque pearls set within multi faceted Swarovski crystals. They retail for £130.00. 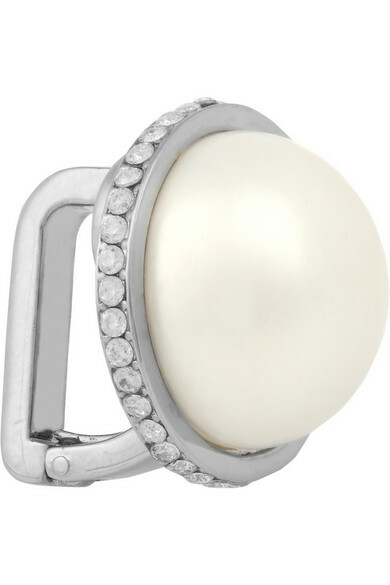 A Note On the Pearl for the designer: June’s birthstone, said to symbolize a pure heart and mind, innocent and faith. 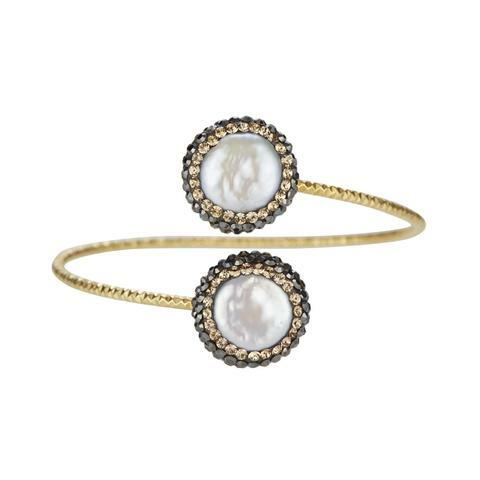 With links to the moon and water they help to balance emotions. 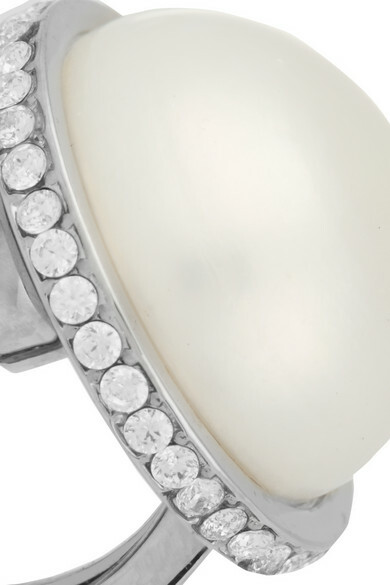 As part of the collection, there is a matching ring, pendant and bracelet. 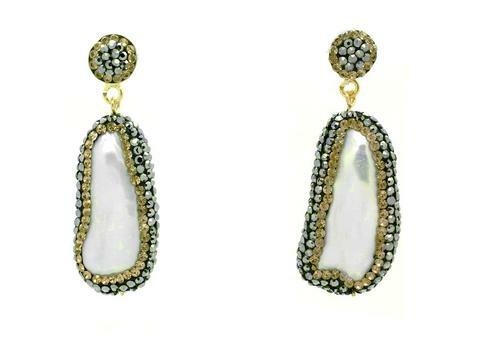 Soru Jewellery has updated their web site with the earrings Kate actually wore. Although the ones posted above closely resemble the ones she wore, I am updating for those who are looking for the correct info. 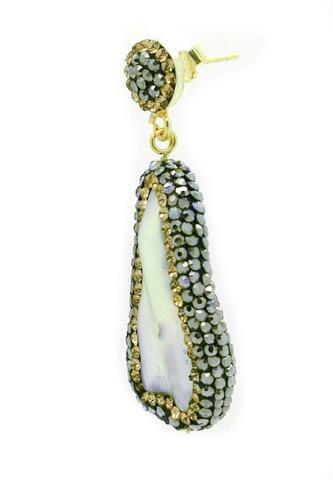 Hand crafted with iridescent baroque pearls edged with multi faceted Swarovski crystals. 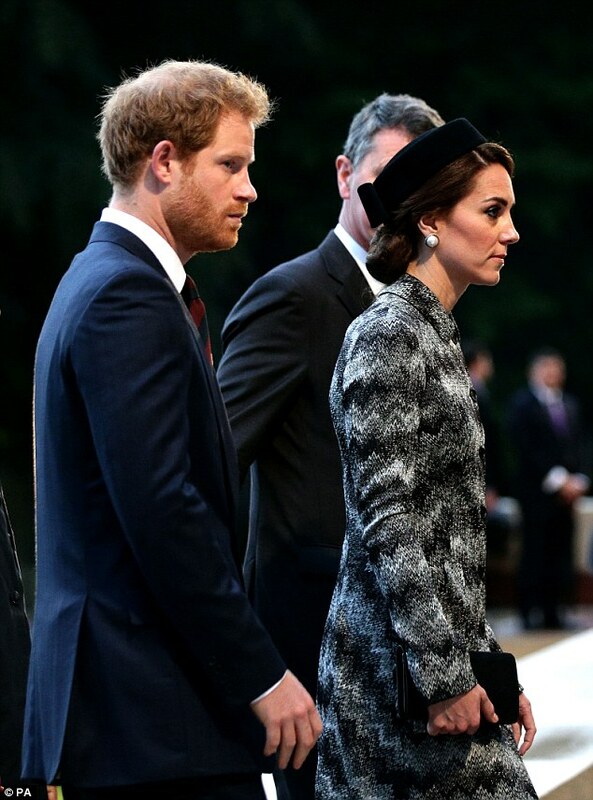 On Thursday, June 30th, 2016, the Duchess of Cambridge joined Harry and William for a twilight vigil at the Somme battlefield in Picardy, France. 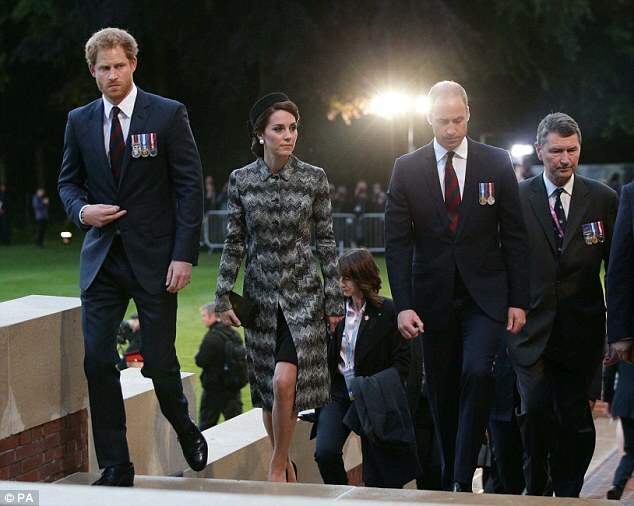 The sombre affair commemorated the centenary of the Battle of the Somme (in 1916) at the Thiepval Memorial. 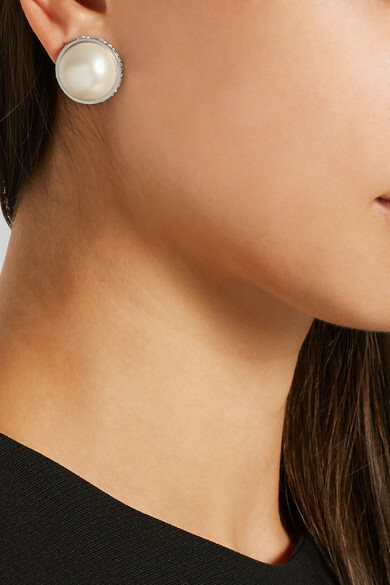 We saw the return of Kate’s silver-tone, Balenciaga’s ‘Eugenia’ ear cuffs ($745 and currently sold out). 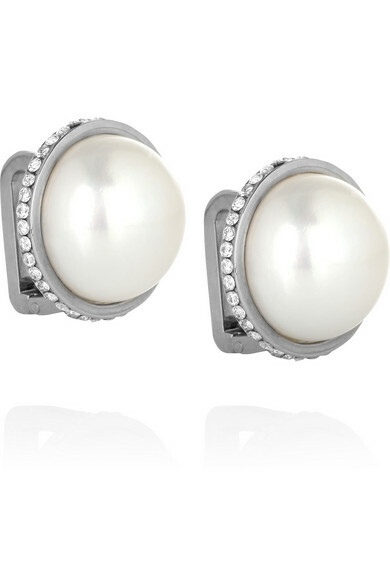 They are made in Italy from silver-tone brass and feature over sized faux pearls surrounded by glittering crystals. Apologies for my long absence…I had some serious health issues which are greatly improved as of this writing.